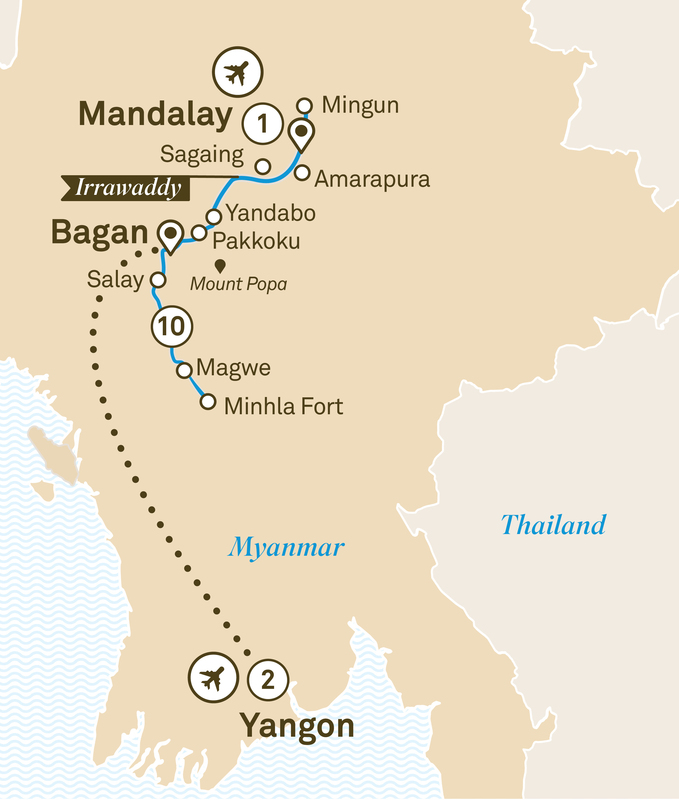 After exploring Yangon, Myanmar’s largest city, travel to Bagan to board the latest custom-built ship in Scenic’s fleet. Scenic Aura will take you on a very special voyage revealing the vast diversity and richness of the many influences that have shaped Myanmar. After disembarkation, admire the intricate artistry of Shwenandaw, a beautiful wooden monastery. Equally impressive are the sights at Kuthodaw Pagoda, home to the ‘World’s Largest Book’. Later walk through the rebuilt Mandalay Palace. Enjoy your farewell dinner and overnight stay in Mandalay. Transfer to the airport for your journey home.